We’re thrilled to be playing at The Hideout every Friday in August from 6-7:30pm and can’t wait to kick things off this week! 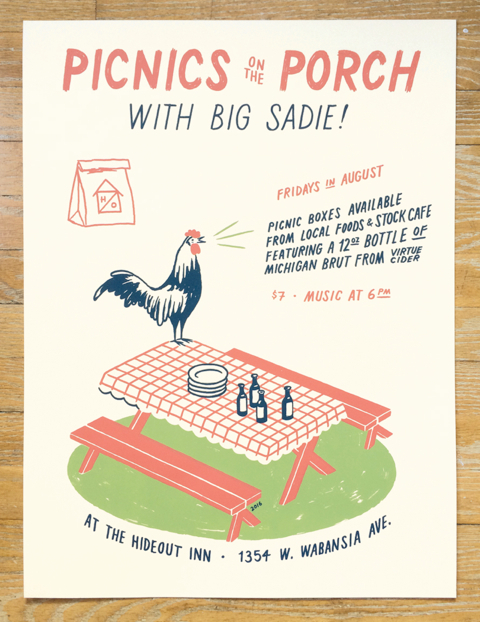 Bring a blanket, grab a picnic dinner (prepared by Abra Berens of Stock Cafe at Local Foods and featuring a bottle of Virtue Cider), and stay for some tunes. Find your tickets here: 8/5, 8/12, 8/19, 8/26. Poster by Ryan Duggan.